Cat Diabetes Treatments - What Are The Options? Cat Diabetes is a serious cat health condition, there's no getting away from that fact. 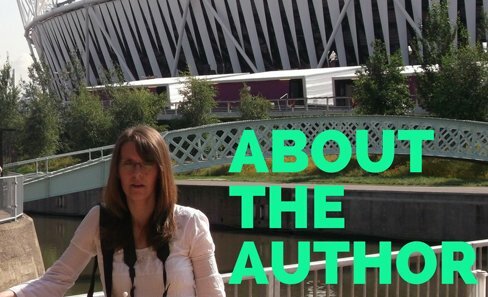 However there is a lot of support available to you to cope with this condition. It is a condition that is very common and so your vet will be very familiar with the illness and all the latest treatments. Because the condition is so common you will be far from alone and you will be able to find a lot of advice and support available to you via your vet and even other cat owners who have experienced this Illness. What Are The Treatment Options for Feline Diabetes? If your cat is diagnosed with Cat Diabetes, then you will need to have a thorough discussion with your Veterinarian about the possible treatment options and how to best care for your pet. and how high or low their blood sugar levels are. There is usually a combination of treatments involved such as insulin injections and dietary changes. Hospitalisation is sometimes needed but usually only if the animal is in immediate danger (such as from extremely high blood sugar levels, dehydration, or other health condition such as Ketoacidosis which can occur in uncontrolled diabetes). Your cat might be kept in by the vet for a few days when they are first diagnosed while their initial treatment regime is established and their blood sugar levels are brought under control. 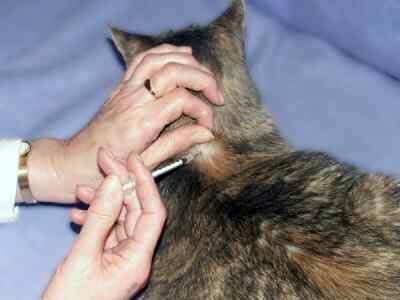 One of the most common feline diabetes treatments used is regular injections of insulin. This might sound like a horrible thing to have to do to your pet, but the needles are extremely thin and with a good technique cats can tolerate this very well. Your vet will teach you how to do this safely and comfortably for your cat. There are many different types of insulin, including short acting and long acting varieties, so again, a thorough discussion with your vet will be necessary to decide on the best type for your individual animal. The amount of insulin given to the cat will depend upon their blood sugar levels. Usually the dosages are started low and then altered depending upon the results from monitoring the blood sugars, until over time things are stabilised to a satisfactory degree. If your cat does have to have insulin injections then your vet will be able to show you how to administer them, this video also shows you how to do this. Some cats can be treated with oral tablets instead, but this will depend upon how well their blood sugars are controlled and if they have any other health concerns, especially if there is any risk of liver damage. Monitoring your cats blood sugar level is important so you know that their treatment is working (thereby helping reduce their risks of future complications resulting from the diabetes). Monitoring blood sugar levels involves taking a small drop of blood (usually from the ear) and using a testing kit. There are alternatives such as urine testing, but yet again, these options will be individual to each case so need discussing with your vet. Both injections of insulin and blood sugar level testing can be done at home and your vet will be able to teach you how to do these effectively and safely. The cat's diet is a major consideration in the control of diabetes and again, your vet should give you expert guidance on this. There are formulated prescription foods available for diabetic cats but these are not always necessary. The weight of the cat needs to be taken into account along with how active they are. The amount of food and the timing of their meals need to be controlled along with the timing and dosages of any insulin or medications given. Any changes to the cats diet needs to be made gradually to allow the cat can get used to it and so as not to cause upsets to their stomach. Cat Diabetes Is a very serious condition for your cat and you should always speak to your vet about treatment for your cat. 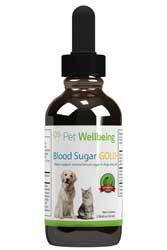 However there are some natural products such as Blood Sugar Gold that in some cases can be beneficial to your cat. Find out more about this natural product so that you can discuss it's use for your cat with your vet. With good control diabetic cats can lead happy, healthy and active lives! All this information about treatments for Cat Diabetes may sound very complicated but although diabetes is a life threatening condition and needs to be taken seriously, it’s good to know that it is treatable and can be controlled.